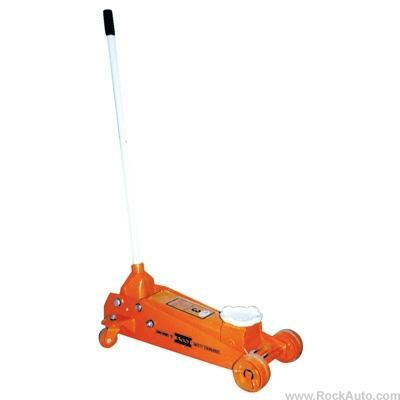 Service jack features extra wide 2" front wheels and patented bypass device to prevent over pumping. Lifting range: 5-3/4"-20-1/2". Includes one pair of 3-ton jack stands with multi-position ratchet bars. Jack stand height ranges from 11-1/2" to 17". Weight: 93 lbs.